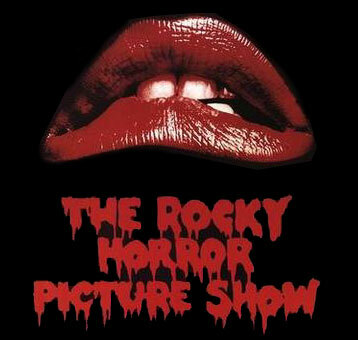 The Rocky Horror Picture Show is a phenomenon like no other movie before or since. We all, perhaps, can name a film that ranks among our personal favorites; a cinematic touchstone that affects us on every level that celluloid is capable of reaching, be it emotional, physical, psychological, sexual or spiritual. It might be a weepie, from the days before Titanic so devalued that concept that now everyone expects a film to make them tear up. It might be a western, redolent with symbolism, gunsmoke and horseflesh. An action pic, a sci-fi epic (entire universes of imagination have sprung up around the Star Wars franchise – and doesn’t that indicate just how our perception of the medium has changed, the fact that we could even dream of describing a series of inter-connected movies as a “franchise,” as though they were simply another arm of some high street mega-chain, each branch rented out to the highest bidder to run more or less as they choose). The Rocky Horror Picture Show is not a franchise. Or maybe it is. There are certainly enough manifestations of it out there for you to hoard, from the original London stage show cast album through to the latest almost-forty-years-on revival download; from the movie soundtrack to the karaoke instrumental set; from the book of the film to the book you now hold; and onto all the officially licensed geegaws and baubles that allow the most mediocre mortal to walk the walk and talk the talk of the world’s most eligible Transylvanian bachelor without leaving his own pad. Rocky Horror is all of these things, and everything else you could want it to be. And to think, it all came from Denton High.